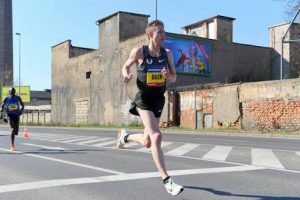 Galen Rupp Bounces Back From Boston Marathon To Win Prague Marathon | JustRunLah! We were all looking forward to see what Galen Rupp could do at the Boston Marathon 2018. His marathon debut was a win at the Marathon Trials. His 2nd Marathon was a Bronze Medal at the Rio Olympics. His 3rd Marathon was a second place at the Boston Marathon 2017. And his 4th Marathon was a win at the Chicago Marathon. Unfortunately, a bout of dreadful weather – icy cold strong headwinds and temperates just above freezing hit the Boston Marathon 2018. 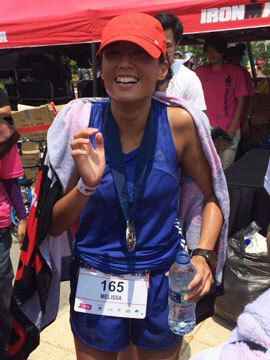 Symptoms of hypothermia and asthma forced Galen to drop out of the race. According to Galen, he was on the top of his game. He had more miles in his leg than he had ever had. He had been nailing his speed workouts. He truly believed and had great confidence that he had a new personal best in him. Boston Marathon did not work out for him. But Prague Marathon did. Rupp and Sisay Lemma of Ethiopia were matching each other stride for stride. Although Sisay had the better personal best of 2 hours 4 minutes versus Rupp’s 2 hours 9 minutes, Rupp wasn’t going to go down without a fight. It was with 4 kilometers to go that Rupp broke away to take the win and put a 57 seconds gap between him and 2nd place Lemma. He took 3 minutes off his personal best, clocking in a 2:06:07. His previous personal best was 2:09:20 in the Chicago Marathon 2017. It was such a great win with such an impressive timing. 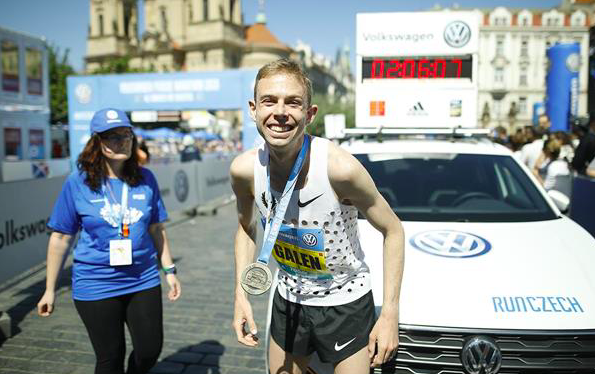 This win makes Galen Rupp the second fastest marathoner in American History behind Khalid Khannouchi, who holds the American record of 2:05:38 set way back in London 2002. Galen Rupp will run another major marathon in the second half of the year. It will be interesting to see whether he will defend his crown at the Chicago Marathon or take on the New York City Marathon. 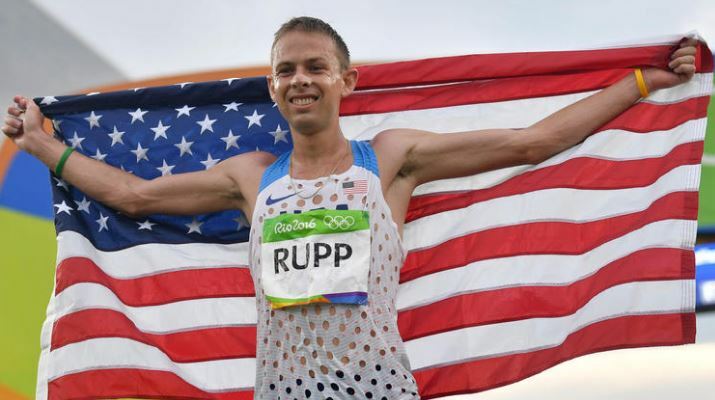 It seems like it will only be a matter of time before Galen Rupp breaks the American Marathon Record.